On the occasion of Rohith Vemula’s birthday on January 30th, Guftugu expresses solidarity with his life of struggle, and that of all the Rohiths in India today. Artist Savi Sawarkar recounts dalit identity through a counter-aesthetic. 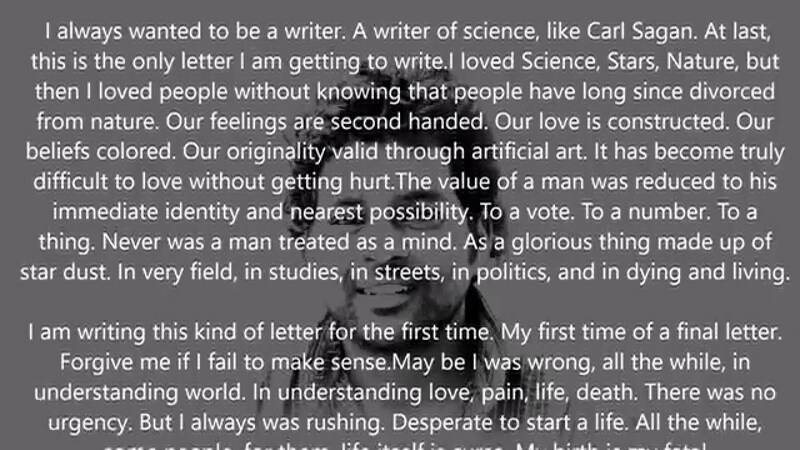 Poet Meena Alexander reminds us of the texture of Rohith Vemula’s caste-defined life and death, with his last letter as the centre-point. 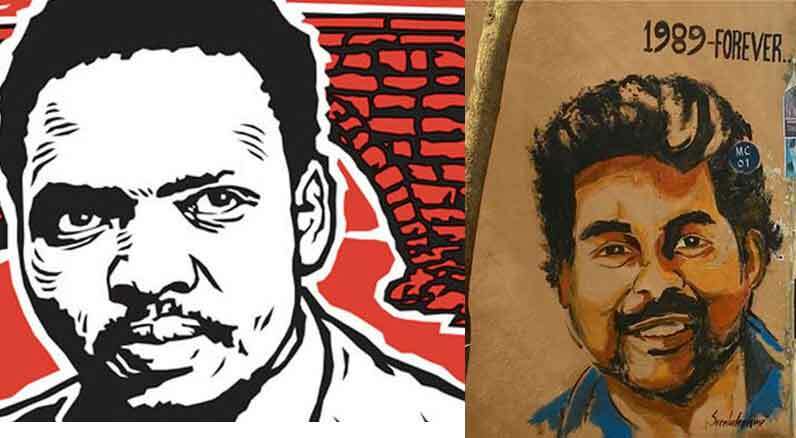 Artist Orjit Sen dedicates to Rohith Vemula a graphic retelling of another story of resistance, that of Nangeli. Today, as in 2016, young people like Rohith Vemula still hear the message of a caste-ridden India: You cannot see your dreams soar. The message they hear bears the history of centuries of inequity; a thousand stories of barbaric humiliation. But equally important is the narrative of struggle – today, on the streets, in fields, villages, classrooms, courts, toilets. This struggle also has a history in every part of India. In Kerala in the early nineteenth century, there is the story of Nangeli, who protested against one of the ugliest of oppressive taxes: the lower caste was only allowed to cover their breasts if they paid a tax, Mula Karam, to the government. Nangeli protested by giving the tax collector her breasts, cut off with a sickle. She died to bring an end to the breast tax system. Read related posts here and here. Read more poems by Meena Alexander here and here. See more work by Orijit Sen here, here and here. Image © Savi Sawarkar; poem and note © Meena Alexander; graphic story © Orijit Sen.
“Death of a Young Dalit” was first published in India Quarterly Oct 2016/ World Literature Today. “Remembering Nangeli on Rohith Vemula’s Shahadat day” was first published in South Live on January 16, 2017. Savindra “Savi” Sawarkar was born into a Mahar family that converted to Buddhism under the influence of Ambedkar. He has had numerous solo shows in India and elsewhere; and all his works challenge brahmanical hegemony; struggle with the creation of a Dalit aesthetic; and work toward the annihilation of caste. For more, see savisawarkar.arttimes.in. Meena Alexander’s most recent volume of poems is Atmospheric Embroidery (New Delhi: Hachette India, 2015). An expanded edition of the book, with new poems is forthcoming from TriQuarterly Books/ Northwestern University Press, 2018. Also see meenaalexander.com.